Matt is originally from Salt Lake City, Utah. He attended the University of Utah where he received his Bachelor’s Degree in Music and has been a proficient violinist most of his life. Matt continued on to earn his Doctorate of Physical Therapy from Rocky Mountain University in 2014. He completed the year-long Folsom Long Term Course in Orthopedic Manual Therapy in 2016, became certified with the SFMA in 2017, and is a current member of the Orthopedic Section of the APTA. Matt has worked at Colusa Physical Therapy since his graduation utilizing evidence based practice to provide manual treatment, instruction in therapeutic exercise, patient education, and modalities. He is proficient in treating all orthopedic conditions including the spine, extremities, post-operative, vertigo, and balance disorders. He is dedicated to providing each patient with individualized and specific treatments to help them return to the highest possible level of function. Matt is also fluent in Spanish. During his free time, he enjoys being outdoors, running, reading, playing the piano and violin, teaching private violin lessons, and spending time with his wife and twin boys. As an Orthopedic Clinical Specialist, Emily specializes in treating individuals with injuries and pain of the spine and all extremities. She uses a biopsychosocial approach, utilizing manual therapy techniques, individualized exercise prescription and activity education to help each patient she works with reach his or her goals. Originally from Oregon, Emily received her undergraduate degree from Colorado College before coming to California. She earned her Doctorate in Physical Therapy from UCSF/SFSU in San Francisco. Emily worked for several years as a Physical Therapist at Oregon Health and Science University, where she also did an orthopedic residency program, before returning to California. She has pursued advanced training in pain science, women’s health, orthopedics, and chronic pain, and has collaborated with teaching and research projects with other healthcare professionals. When she is not working, you can usually find Emily outside. She enjoys hiking, running, biking, camping, swimming, gardening, cooking, and being with family and friends. Bill graduated from Chico State University with a Bachelor of Arts degree in Natural Science, and went on to California State Northridge for the Physical Therapy program. While attending at Cal State Northridge, Bill was drafted into the military and during his service of our country, he completed his PTA license. Bill has worked extensively in out-patient physical therapy for over 35 years, and has been with Colusa Physical Therapy since 2005. Anissa is a graduate from Colusa High School and is excited to be a part of the team at Colusa Physical Therapy! She loves working with patients and helping them on their road to recovery. In her free time, Anissa enjoys making new friends and cooking. Brenda was born and raised in Maxwell, CA but has lived in Colusa for the past seven years with her family of five and sixteen animals. As the PT Tech and Receptionist she enjoys helping patients, and being a part of their progression to recovery. Brenda said it is very rewarding seeing patients leave therapy feeling better than before. She has previous medical experience as a CNA, and also attended Yuba Community College where she worked towards her RN License. She hopes to continue her education and fulfill her dream of becoming a RN. Brenda has always had a passion for helping her family and friends. She enjoys volunteering in the community, and participating in blood drives with the Red Cross. In her spare time she spends time with her family going camping, fishing, playing sports, participating in school activities, and visiting new places. Cristina is your primary contact when it comes to scheduling and insurance. She is more than happy to answer any questions you may have. Cristina is from Williams, CA. In 2014 she graduated from Butte College with her Associates Degree in Accounting. She enjoys the personal interactions she gets to have with our patients. In her spare time she likes to spend time with her child, going on walks and visiting new places. Morissa was raised in Williams, CA, but graduated from Colusa High School. 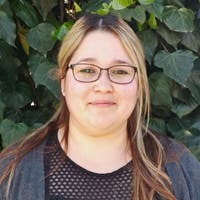 She attended Yuba College and later went on to graduate as a Medical Assistant from Cambridge Junior College in Yuba City. Morissa enjoys interacting with patients and seeing them progress at each appointment. In her spare time, Morissa enjoys being with her family, going to film festivals, and shopping for her daughter. 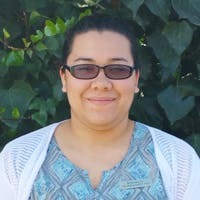 She is excited to be a part of the team at Colusa Physical Therapy!